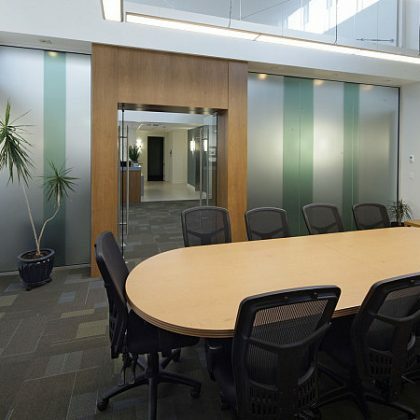 Berry Architecture + Associates delivers thoughtful, well-developed, dynamic architectural solutions to clients across Alberta and Western Canada. Its hands-on, client-focused approach enables the team to be fully integrated in a project, supporting clients throughout the process and ensuring success. 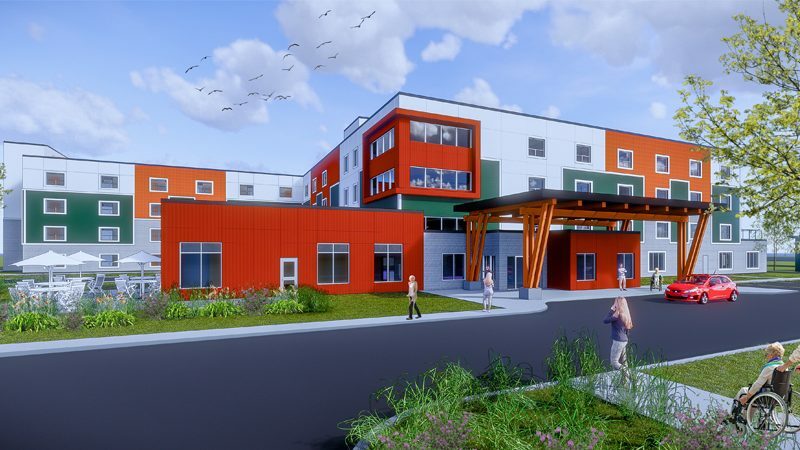 This vibrant new lodge in Sherwood Park is designed for care levels SL 3 and 4. At 144 units and four storeys, it is the largest lodge that Berry Architecture has designed to date. All suites are bachelor suites, and the facility provides a wide variety of amenities including multi-purpose spaces, activity rooms, dining areas on each floor, second floor patio, and coffee bistro. The exterior was designed to fit in well with the neighbourhood with its bright colour scheme and welcoming entrance. 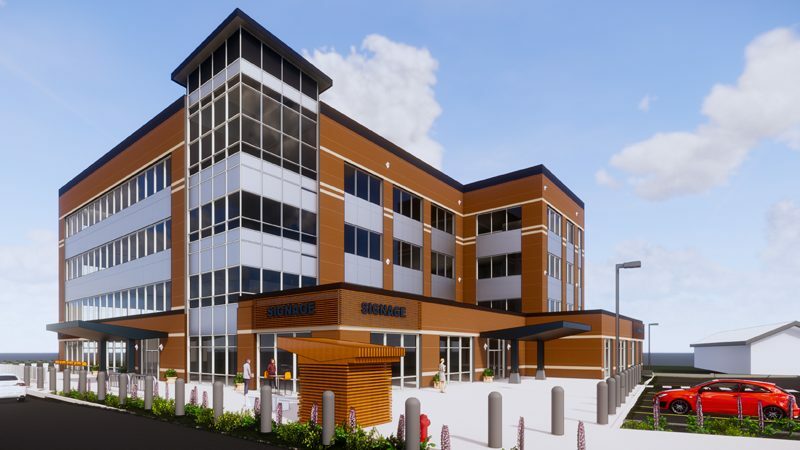 This striking four storey office and retail centre is located on a former industrial site in Red Deer. The new complex will feature retail outlets on the main floor and office space on the three remaining floors. There will be underground parking as well as on-site parking. We find it rewarding to re-use and reclaim an existing industrial site in the downtown region which had been vacant for many years. The site will now provide much-needed office and retail space without contributing to urban sprawl. 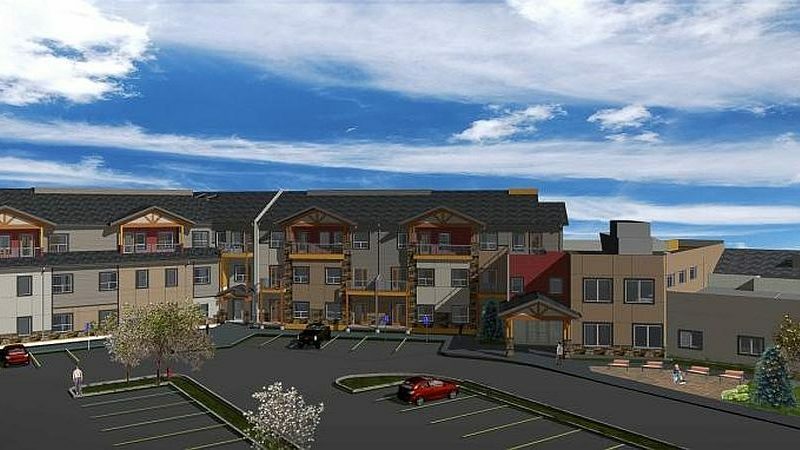 The Parkland Lodge in Edson, Alberta is undergoing a complete revitalization—18 suites are being renovated and the remainder of the lodge has been demolished to make way for 62 new supportive living lodge suites and 25 independent living seniors’ apartments. The new complex will encompass everything from independent living through levels SL2 to SL4D. The lodge provides all amenities to enhance social interaction and quality of life and takes full advantage of the site’s beautiful grounds and natural outdoor amenities. We are proud to be celebrating our 20th anniversary in 2018!